The SQL EXP function is one of the Mathematical function which is used to return E raised to the power of the given float value, Where E is Euler’s number and it is approximately equal to 2.71828. For example, if we specify the expression as, EXP (2). It means e² ==> 2.718² ==> 7.38. 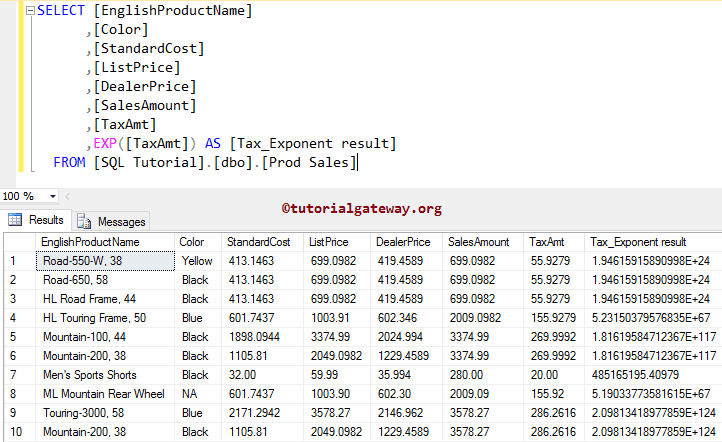 In this article we will show you, How to use/write SQL Server EXP function with example. Below lines of code is used to declare float variable and assigning the random value. Next, we are calculating the exponential value of @i. 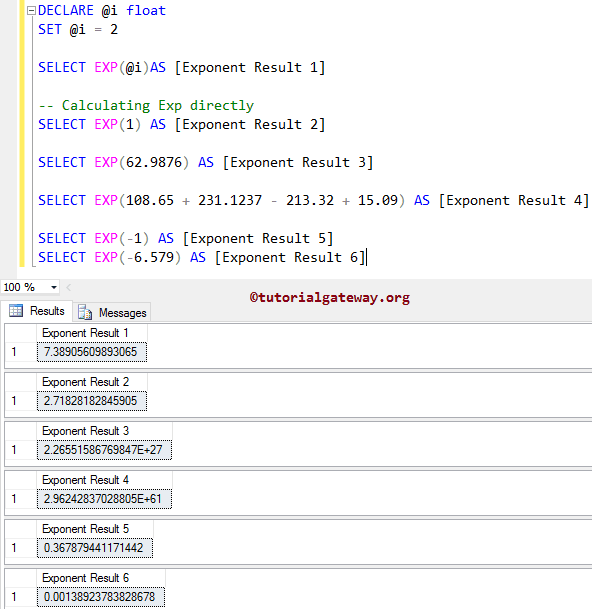 We also assigned new name to the result as ‘Exponent Result 1’ using SQL ALIAS Column. In this example, We are going to calculate the E raised to the power of the all the records present in the [Tax Amount] column using EXP Function.